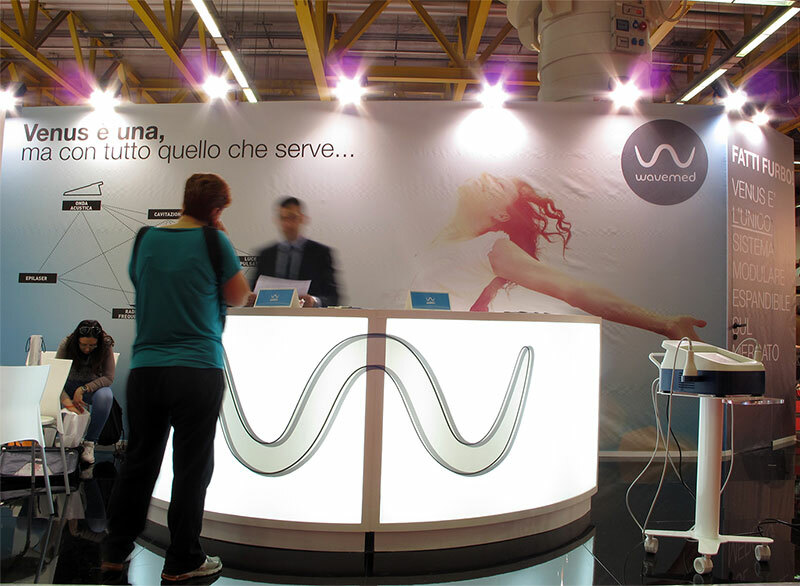 Pq design studio develop a project of exhibition design of the Wavemed’s booth. 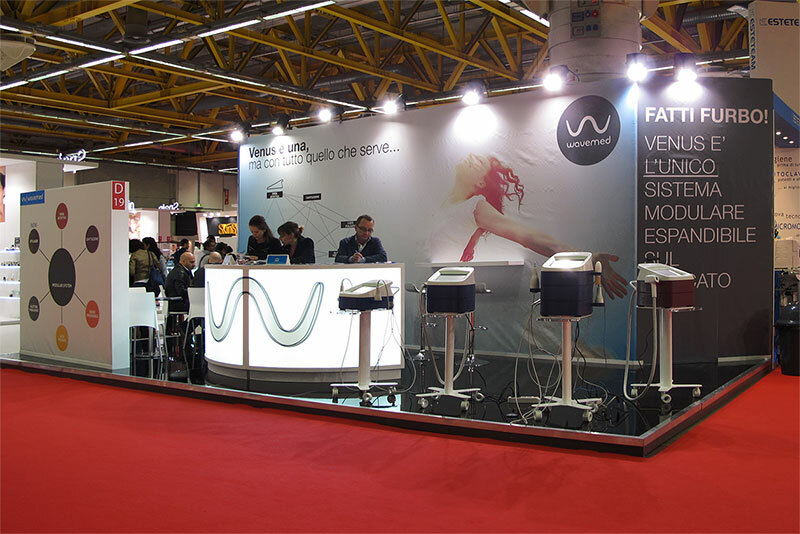 The collaboration beetwen italian company that produce innovative products for beauty and medical treatments and Pq design Studio going on for many years. 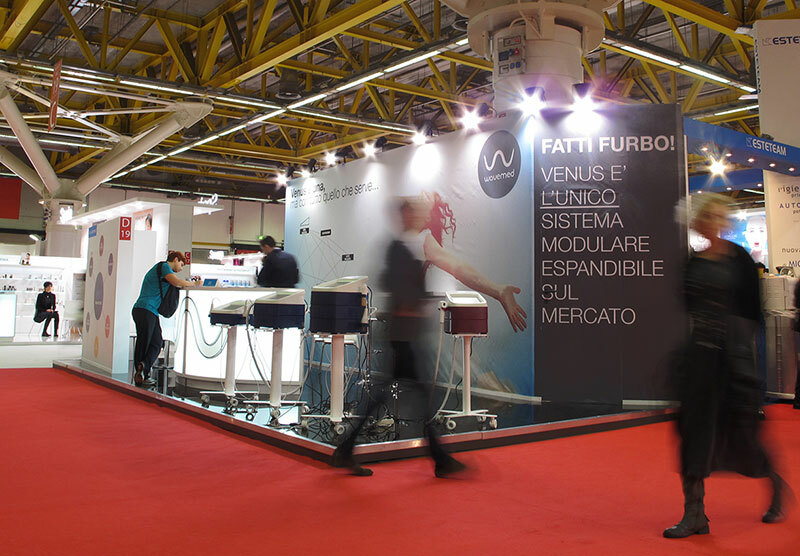 The collaboration is intense also in the product design and design strategy activities of the company. 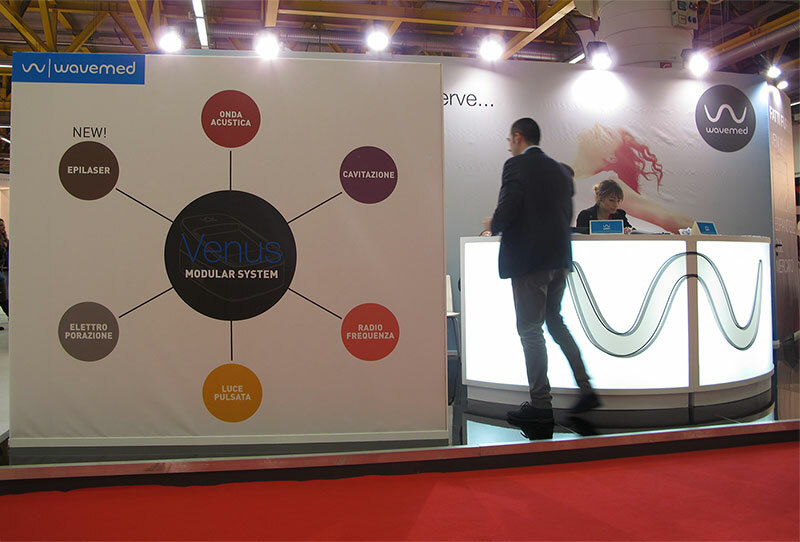 Pq design studio cooperate with Wavemed and its research team in developing of new idea and products in the field of health care and wellness. 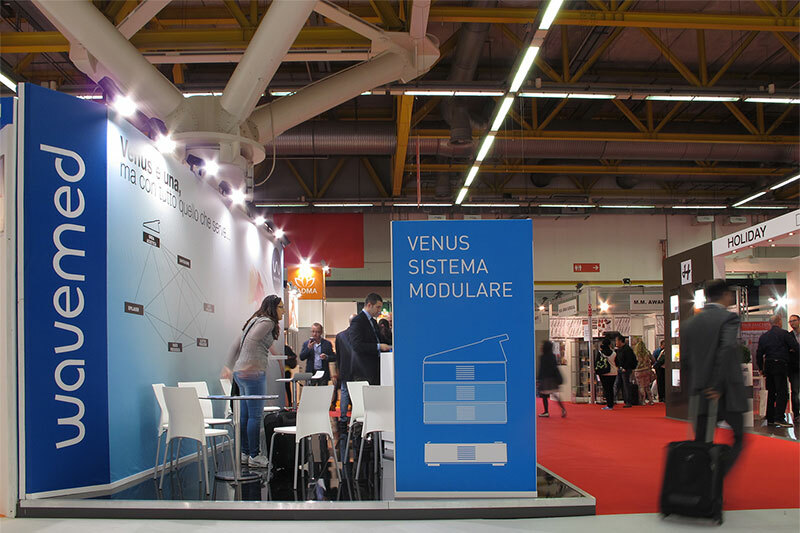 The Cosmoprof is an important meeting for companies that work in the field of the beauty treatments and body care. 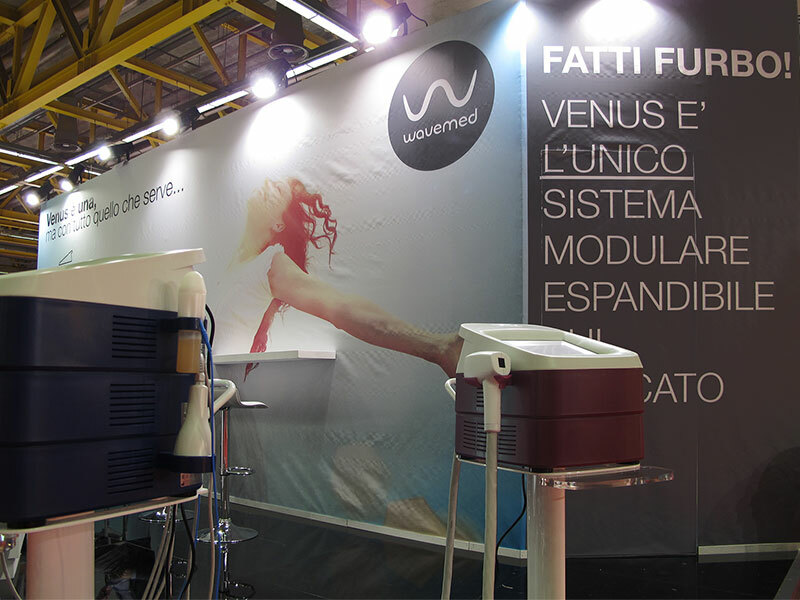 The exhibition have different tematich area: packaging, aestetich, beauty & Spa, cosmestic, hair. This year there is a new and interesting are dedicated to ecology and biological products. Inside that area there were an interesting exibhition of the photographer Oliviero Toscani.